Sindh Boards of Intermediate and Secondary Education are going to start their matric class annual exams 2018 in the allotted exams centers. 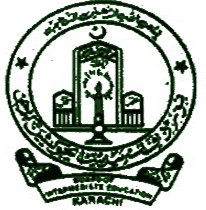 The educational boards located in Sindh province like Sukkur, Larkana, Mirpur Khas and Hyderabad issue the date sheet and the roll number slips to the students in order to enable them to appear in their matric class annual exams 2018. Sindh Boards SSC class date sheet shows that the papers will be started from 27 March and the last paper will be conducted on 09 April 2018. The morning shift paper will be commenced from 09:00 am to 12:00 noon and the evening paper will be conducted from 02:00 pm to 05:00 pm. The candidates can get the latest updates regarding their matric class date sheet 2018 from online with the complete detail and they will check the timings and schedule of the papers.